Some may argue that Valentines has become a consumerist holiday but its undeniably great for business! Last year over 22 million Brits brought into the day and this year won’t be dissimilar as the spectrum of love widens to encompass: friends, children, parents, partners and even yourself. The love doesn’t just end on the 14th either ‘Belated Valentines’ is rising in popularity with bargain hunters looking to save some money. 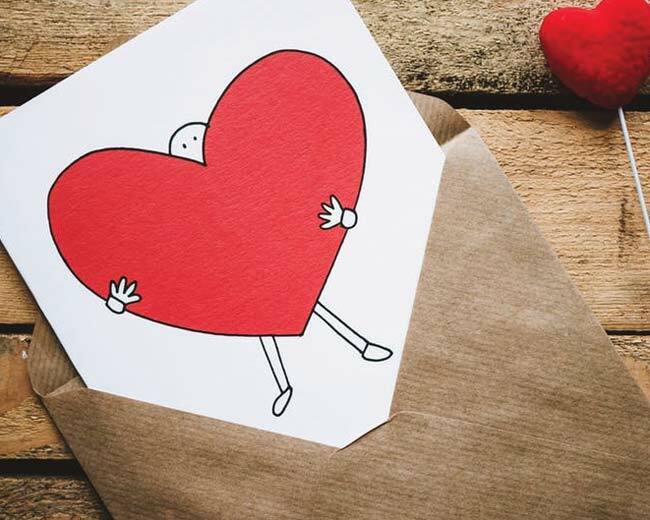 So take the time to send your customers some love with our heart stickers and these brilliant ideas. New customers are great and return customers are brilliant. When a customer receives your order you want to make sure they come back for more. One way to do that is to add a little something to their order. It could be a free sample, an extra product or a little trinket, but let’s face it that can get expensive. So here’s our simple method-- add a specially designed heart-shaped sticker. This’ll mean you’re within the Valentines theme and can design your sticker to match the rest of your branding; place it on your packaging or even the product itself. To each of the stickers, you can add an incentive for them to buy again, something like discount codes special use codes or a reward scheme. This will encourage return customers long after Valentine’s Day. Celebrating Valentines as a company can be a good way to show you appreciate your customers and foster good relations. Our heart labels can be great mediums to carry special messages. Over the run-up to Valentine’s Day try adding our heart stickers to every order printed with a special message that’s in keeping with your brand. This can also be applied to business to business too, a small heart on every box that’s shipped out, each personalised with the companies name in a bright bold colour would put a smile on everyone’s face throughout its journey. You can also use this to get appreciation back. As reviews are now pivotal to success it’s always a good idea to ask for a review. This can be done by simply adding that you’d like to hear from them. Annual celebrations are a good time to create a buzz around your brand especially on social media. It’s time where a lot of traffic can be driven off the back of well-used hashtags. If you’ve got something to promote a heart label is a fun and effective way to get people involved. It can easily stand out and draw attention to itself, promoting your message to the consumer. Try adding hashtags, challenges or social media tags to increase engagement with your brand. Idea: Invest some time and design effort to create something special that stands out and get your customers to repost a picture of it and repost. Including something small that represents your brand is a nice touch and improves the customer experience. Your most loyal customers would enjoy stickers to represent their love for your brand. Recently a clothing company called Collusion has talked about their use of free stickers with every purchase. Here’s what they’ve had to say: “We use stickers rather than swing tags. They reduce waste and you get something out of it too”. To their question of where their customers had put their stickers, they got a variety of replies ranging from laptops, phone cases to skateboards and sketchbooks. This is particularly interesting as these are things that other people will see daily, their customers are now acting as brand ambassadors, all of that from a simple sticker. We have a range of different sticker shapes and sizes, our most recent being the heart stickers. You could make your stickers seasonal allowing return customers to create a collection over the year. Fallen head over heels for our heart stickers? Here’s what you need to know. You can get them as stickers or as labels, this means they can be also be used as product labels. Our product labels available in 40mm and 50mm sizes and you can customise them from scratch or use our templates. They can stick to almost any material so they’re perfect for all your needs. Our fast shipping will ensure you receive your sticker within 3-5 days or even quicker if you choose express production. If you’re considering our heart labels don’t forget we’re currently running a discount on our heart stickers with code: LOVE10.